With Valentine's Day only a couple of weeks away, I've already begun my tentative holiday plans. 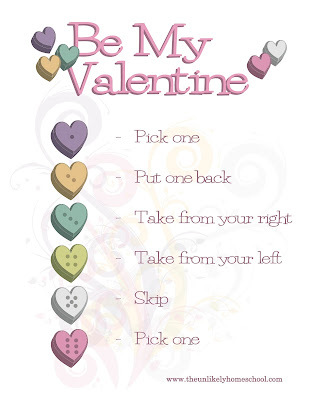 A MUST on the agenda will be the Be My Valentine Game that I introduced to the kids on Valentine's Day 2012. Give everyone five pieces of candy. Take turns rolling the dice. Follow the action of each rolled number dictated by the game sheet. Oh yea! I made a couple copycat game boards for my daughter and then we decided to play it at our coop that has 10 kids. 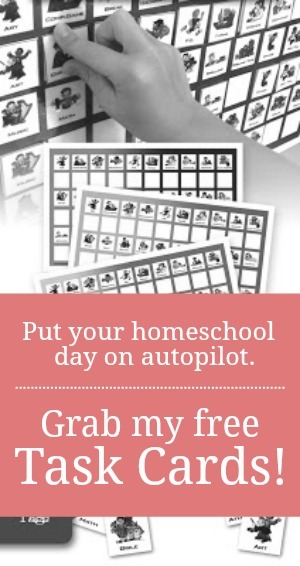 You just saved me a lot of time not having to make 8 more boards by hand! If you notice in the picture, there is a pile of extra candies in the middle of the table. That is like the "bank". When they "pick one," they get to pick an extra candy from the pile. If they land on "put one back," they have to put one of their candies back into the "bank."